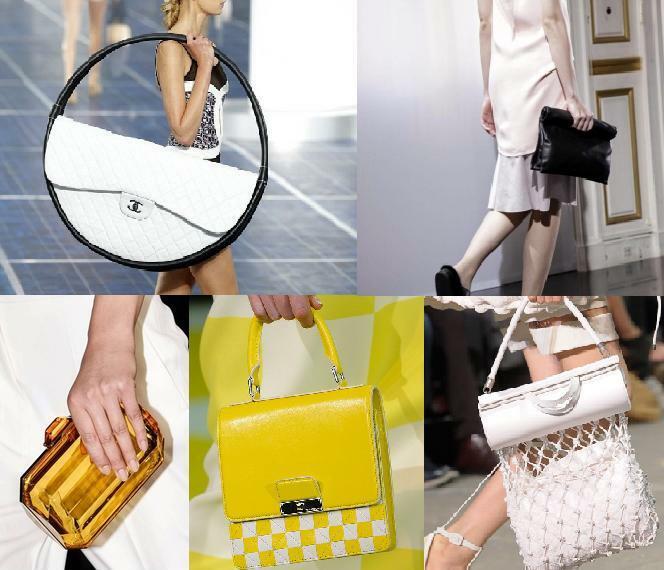 You can’t talk about handbags for Spring 2013 without mentioning Karl’s enormous hula-hoop creation at the recent Paris Fashion Week. Clearly this is the most dramatic accessory of the season and it even comes with instructions on how to use it. On the smaller scale, Celine's rolled up clutch, Stella McCartney's lucite jewelry purse, Louis Vuitton's damier checks and Alexandre Wang's hybrid of mesh and leather bag are enough to grab anyone's attention. Whether you're in heading to a beach, a night out of town or just a casual weekend, if you can get your hands on any of these, you'll surely be the next talk of the town.